The Trauma Center of the University of California, San Francisco Department of Surgery at San Francisco General Hospital.This Trauma Recovery Center in San Francisco, CA was established to provide respectful, compassionate, and effective mental health and medical services for adult survivors who have suffered from trauma, violence and loss. Converting an old 11,000sqft timber-frame warehouse into a treatment center presented several challenges in order to function effectively. The 26ft high cavernous ceiling conveyed a gloomy feeling, the lighting budget was very restrictive and the design had to be energy efficient as well as environmentally sound. 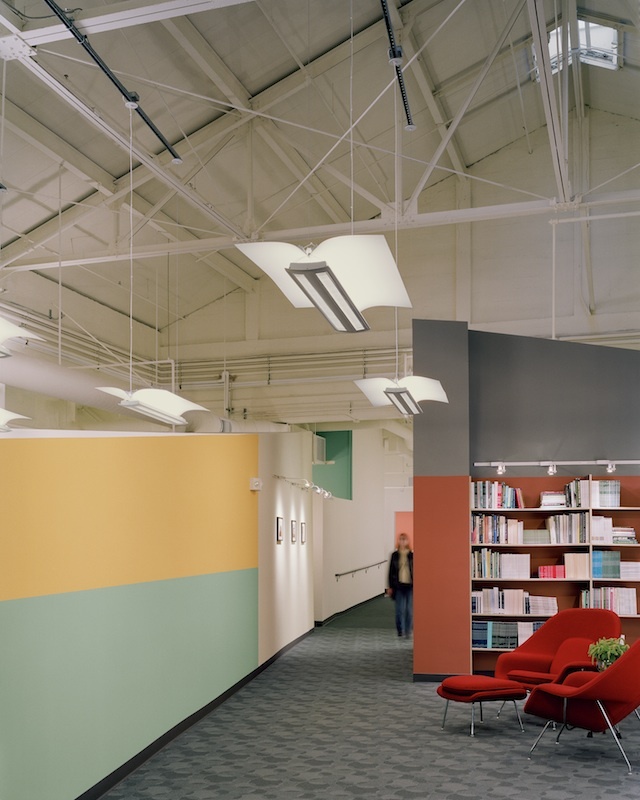 In the high ceiling area, three exhaust fans were replaced with skylights to allow natural daylight to stream into the space and the ceiling was painted white to maximize any reflected light making the space brighter. 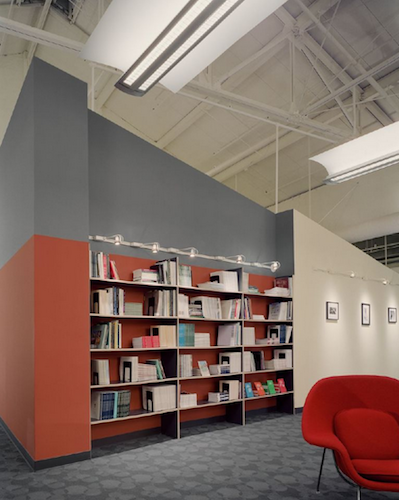 Then task lighting in the open office area was achieved by suspending 2X4 “gull-wing” type indirect luminaires with 2-32W T-8 fluorescent lamps at 9’ AFF on 8’ centers for an average of 32fc maintained at work surface. 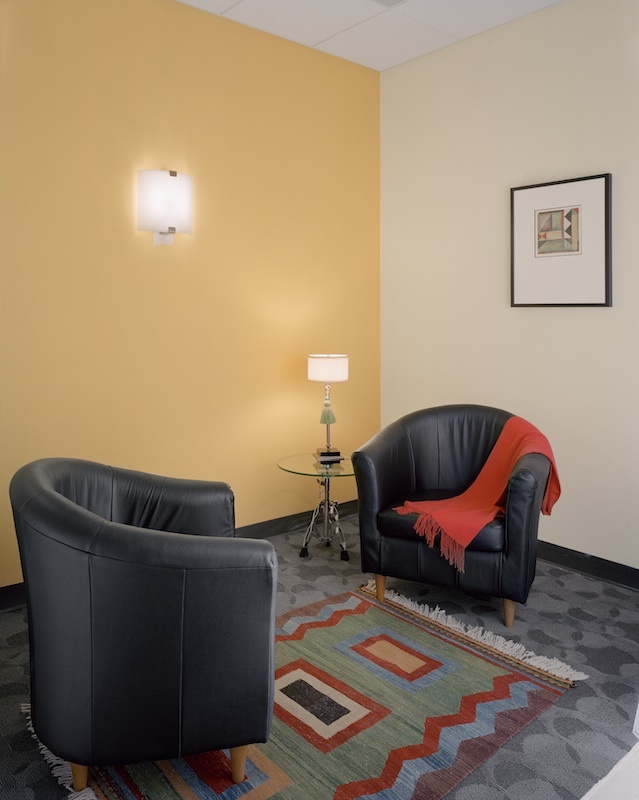 Project won an IIDA Achievement for excellence in lighting design. Fixture costs were under $1.80/sqft. Which was well below budget. Efficient lighting consumes less than 1W/sqft. Environmentally friendly low mercury content 3000K Fluorescent lamps throughout meet TCLP criteria and are recyclable.